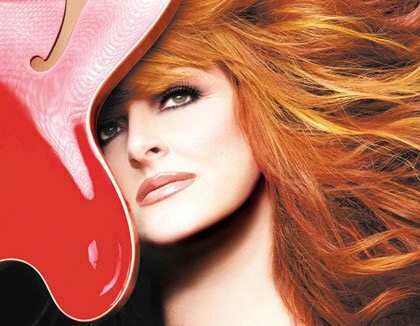 Born Christina Claire Ciminella, May 30, 1964 in Ashland, Kentucky Wynonna Judd is well known for her solo albums and singles all credited to the singular name Wynonna. She first rose to fame in the 1980s alongside her mother, Naomi, in the country music duo The Judds. "My influences - I thank God for this now - were records from the old record shops, the used bins. Bluegrass was my first influence, and the mountain harmonies, the mountain soul of Hazel and Alice, the harmonies of the family from the Delmore Brothers, the Stanley Brothers and the Louvin Brothers. And then I started listening to Bonnie Raitt. She's been one of the biggest influences of my vocal style. Instead of top 40, I was listening to big band, and I was listening to the stuff that my grandparents were going dancing to on the weekends. I was pretty eclectic." A heath issue forced Naomi into retirement in 1991 and Wynonna began a solo career, also on Curb. On April 2, 1992, Wynonna performed solo on television for the first time at the American Music Awards. She unveiled "She Is His Only Need", the first single from her self-titled solo debut album. This album, Wynonna, was released in 1992 via MCA/Curb, under the production of Tony Brown. "She Is His Only Need" went to Number One on the Billboard country singles charts that year, as did the album's next two singles, "I Saw the Light" and "No One Else on Earth", the former of which was also the Number One country song of 1992 according to Billboard Year-End. "She Is His Only Need" and "No One Else on Earth" were also minor Adult Contemporary hits, and the latter peaked at #83 on the Billboard Hot 100. "My Strongest Weakness", the album's final single, was a #4 country hit. The album shipped five million copies in the United States , earning a 5× Multi-Platinum certification from the RIAA. Her second album, Tell Me Why, was released by MCA/Curb in 1993. Also a platinum-selling album, it accounted for five consecutive Top Ten hits on the country charts: the title track, "Only Love", "Is It Over Yet", "Rock Bottom" and "Girls with Guitars", which was written by Mary Chapin Carpenter. In 1994, she also made an appearance on the Lynyrd Skynyrd tribute album Skynyrd Frynds, on which she covered their song "Free Bird". She also sang duet vocals on pop/Christian singer Michael English's debut single "Healing", which peaked at #120 on the pop charts. Revelations was the title of her third album, released by MCA/Curb in 1996. Also certified platinum, this album was led off by her fourth and final Number One hit, the Mike Reid/Gary Burr co-write "To Be Loved by You". Wynonna's fourth and final album for MCA was titled The Other Side released in 1997and produced four singles. 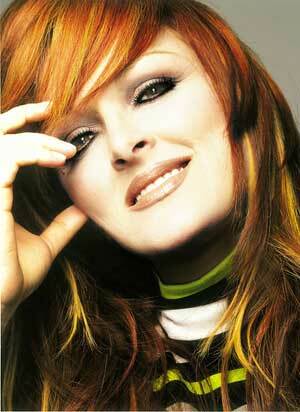 In 2000 Wynonna released her fifth solo album, New Day Dawning. This album, the first of her career that Wynonna co-produced, included a four-song bonus disc entitled Big Bang Boogie, composed of four new Judds songs. New Day Dawning produced the minor singles "Can't Nobody Love You (Like I Do)" and "Going Nowhere". "Stuck in Love", one of the songs from Big Bang Boogie, also had minor chart success, peaking at #26. What the World Needs Now Is Love, released in 2000, was Wynonna's first album for the Asylum-Curb Records label. Lead-off single "What the World Needs" reached the Top 20 on the country charts, followed by the lesser singles "Heaven Help Me" and "Flies on the Butter (You Can't Go Home Again)", at #37 and #33 respectively. Also in 2000 Wynonna decided to reunite with her mother for a tour playing to over 250,000 people in some 36 shows. It was one of the Top 10 grossing country music tours of the year and two Judds' discs were released as well as a CBS television concert special to celebrate the reunited power of the duo. The duo was nominated for the prestigious Academy of Country Music 's Top Vocal Duo of the Year in 2001, after a ten-year absence from the awards show circuit. In 2002, Wynonna and Naomi were named two of the "40 Greatest Women of Country Music" by CMT, landing at #11 on the coveted list. The Judds are universally loved and still regarded as country music royalty for music fans around the globe. Her second release for Asylum-Curb was a live CD/DVD package called Her Story: Scenes from a Lifetime, released in 2005. The album included one new studio track, "Attitude". Written by Wynonna and John Rich of Big & Rich, this song was issued as a single, peaking at #40 on the country charts. One year later, she released her autobiography, Coming Home to Myself, followed by a Christmas album called A Classic Christmas. She also sang an overdubbed duet with Elvis Presley on the late 2008 album Christmas Duets. Sing: Chapter 1, her first studio album in six years, was released on February 3, 2009. This album is largely composed of cover songs, except for the title track, an original composition by Rodney Crowell. It also reunites her with producers Brent Maher and Don Potter, who produced all of The Judds' 1980s albums. This album's lead-off single is "I Hear You Knocking", a blues standard first recorded by Smiley Lewis. Wynonna has graced the covers of Good Housekeeping in September 2005 and September 2004 and was featured on the cover of Ladies Home Journal (February 2005) with her sister, Ashley Judd. She was the Grand Marshall for the Indy 500 in 2003, the first country artist to have ever served in that capacity. She has been featured in over a dozen major motion picture soundtracks including Lilo and Stitch, Someone Like You and The Prince of Egypt. She was the national celebrity spokesperson for the Kmart Corporation in 2000. Wynonna made her acting debut in 1998 on the smash hit CBS show, Touched by an Angel, and returned to the series two additional times to amazing ratings and fan reaction. She is currently on a cross country journey singing with the most esteemed symphony companies in the United States in 2005 and 2006. Wynonna will co-host the fourth season of Nashville Star on the USA Network with Cowboy Troy in 2006. She is currently the US Ambassador for YouthAIDS and was recently presented with the USO Merit Award for outstanding contributions to the United States Armed Forces in 2005. In 2004, she was the recipient of the Connie B. Gay Award, one of the most prestigious awards presented by the Country Music Association. Wynonna was nominated for the 2003 Academy of Country Music 's Humanitarian of the Year Award and in the last two years alone, Wynonna has single-handedly raised over $2 million for charity. Wynonna is active with the American Red Cross, having organized three blood drives in the last three years; MusiCares, at whose Person of the Year galas she has performed in 2004 in honor of Sting and in 2003 in honor of Bono and has served on the Board of Governors; The Oasis Center in Nashville where she serves as mentor and friend to children in need and headlines their annual tastemaker event, Divas Nashvegas; and St. Jude Children's Hospital, where she served as Keynote Speaker for the Country Cares Seminar in 2003.